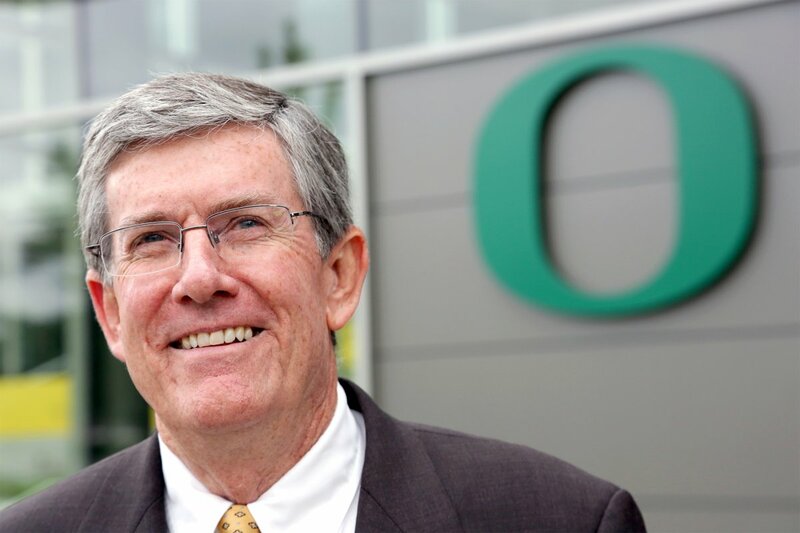 A tuition bill before the Oregon Legislature will make college more affordable for the state’s high school graduates and should be approved, University of Oregon President Michael Gottfredson said Wednesday, in testimony to a House committee in Salem. Speaking before the House Committee on Higher Education and Workforce Development, Gottfredson urged passage of House Bill 2787, which would provide tuition equity to Oregonians similar to a law approved in California in 2001. The president testified on a panel that included Wim Wiewel, president of Portland State University, and Jim Francesconi, member of the State Board of Higher Education. Also testifying before the committee was UO student Edith Gomez. Many states have adopted tuition equity laws to improve access to education for all students. The laws generally require that undocumented students attend and graduate high school within the state, and meet certain academic criteria, in order to pay in-state tuition rates. It is in the state’s interest to enable all students to participate in higher education and build the foundation for a life and a career, Gottfredson said. Public universities and resident tuition provide the means and should be extended to Oregon’s youth who grow up here with a dream to live and work in the state that is their home, he added. The UO president cited the success of California Assembly Bill 540, which exempts students who meet certain eligibility requirements from paying nonresident tuition at California public colleges and universities. “In enacting AB 540, the state recognized that many high school students attended elementary and secondary schools in California for most of their lives and are likely to remain in the state, but are precluded from obtaining a more affordable college education because they are required to pay nonresident tuition,” Gottfredson said. About 600 undergraduate students enrolled in the University of California under the law, according to the most recent report. For the California State University, University of California and California Community Colleges systems, about one percent of all students were granted in-state tuition rates under AB 540 in 2010. “California’s decade of experience suggests that there is little risk and much good to be gained by enabling a state’s youth who grow up and graduate from the state’s high schools to attend the state’s universities, regardless of documentation status,” Gottfredson said in testimony.